Road and Race Performance provide a comprehensive motorcycle engine performance dyno tuning and diagnostic service using our Dynojet 250i Dynometer. We are an Approved and fully authorised Dynojet power Commander dyno tuning centre, our technicians are fully trained and certified by Dynojet UK. Performance parts and modifications can be evaluated with dyno-proven gains, or Road and Race Performance can use the Dyno together with our Texa Navigator TXBs to troubleshoot faults and quickly diagnose a problem. RRP can supply and install Dynojet Power Commanders, install a custom map for your specific set-up to achieve perfect fuelling for a smoother, more responsive throttle action through the rev range while gaining power throughout. We can supply all Dynojet products including Power Commander 3 and 5, Ignition modules and Quickshifters and install them in our workshop then set them up all under the same roof. Road and Race Performance offer ECU flashing for a wide range of motorcycles including Kawasaki, Suzuki, Triumph and Yamaha enabling us to "de-restrict" your standard ECU and in a majority of applications enable a quickshifter sensor to be controlled directly by your bikes own ECU. 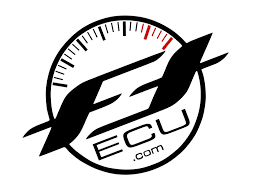 Custom ECU flash includes changing the parameters of the bikes fuel and ignition mapping and on most Yamahas with fly by wire throttles we can alter the bikes engine braking in each gear / rev range plus a host of other benefits. RRP are proud to announce that we are distributors of Bazzaz products. Call us with your requirements for a very competitive price including fitting and full dyno set up with our ride in - ride out service.